The Soviet Union in the late 1950s stunned the world with the successful launch of Sputnik I, the first artificial satellite put into space. It was a technological achievement of epic proportions that officially kicked off the space age although now, the ramifications are only starting to come into focus. You see, humanity has sent a lot of objects into space in the more than 60 years that have since elapsed. According to one estimate, there are around 5,000 tonnes of space junk orbiting our planet. If just one stray piece of debris were to strike a craft or an astronaut, the results could be fatal. China is well aware of the issue and is looking to do something about it. Researchers there have successfully simulated an orbital laser station capable of zapping small debris (items less than four inches in length) with 20 bursts of light each second. Over a two-minute span, the laser system could either deflect junk to avoid a collision or knock objects out of orbit where they’d burn up in the atmosphere. Of course, there are perhaps more questions than answers at this time. For example, how many laser stations would be needed to deal with all of our space waste? Who should build them? And as Engadget points out, would other nations even allow for such a device to be built or would they veto the idea under the guise that it’s an elaborate space weapon? I get the feeling that a lot of international collaboration would be needed to make this a reality. Nevertheless, it’s good to see someone addressing the matter and interested in cleaning up the mess we’ve created. I love that there's a dog on their team. All done with stolen American jobs money. Just gotta love the truth. 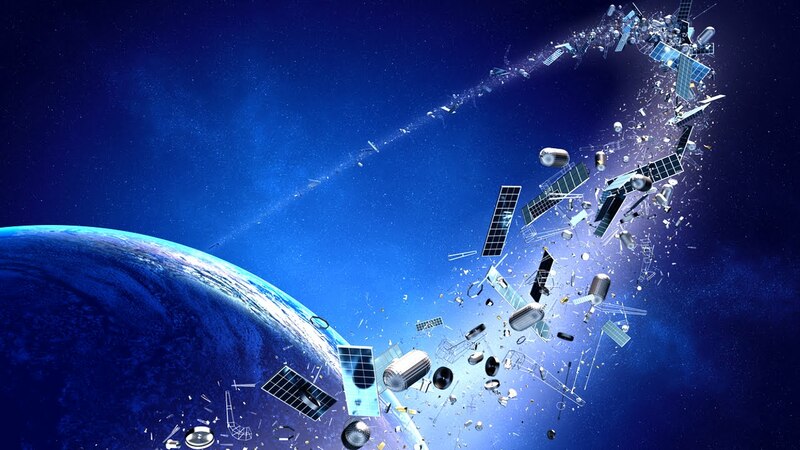 The unintended consequence to this is that we may wind up with many more, but smaller pieces of garbage orbiting earth, making collision avoidance far more difficult and dangerous. I hope the Chinese don't frak this up. Reehahs and senketsu like this. It seems like you didn't read. It's not an actual destruction of objects, it's deflecting their orbits to have them burn while entering orbit or move them away. Reehahs and Icysoul like this. If I were NASA and our intelligent services I would be watching this VERY closely. It smacks of the first steps of militarization of space, an accord that China signed onto. If it were a joint effort, one that could be assigned to the international space station, it could be very valuable, but an effort by any single nation should certainly be suspect for the aforementioned reasons. My reply remains the same. I hope the Chinese don't frak this up. I don't trust them to have the technical resources to pull it off perfectly, which is what is needed. 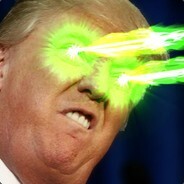 To allow China to put weaponized lasers in space without any supervision, would be like handing them the keys to all the spy satellites in orbit. Remember, you don't need enough power to shoot a satellite down, just enough to damage it beyond repair. EDIT: The above is not to mention that during the cold war, (which is only over in people's imaginations), a chief concern was "killer" satellites, being stationed next spy or observation satellites. So, you blind the spy satellite with a laser, and the other party in the conflict can no longer see when or what you've launched in the way of offensive missiles. "If just one stray piece of debris were to strike a craft or an astronaut, the results could be fatal." Except for an object to be at the same orbit as another, it has to have the same velocity and vector. That's how orbital dynamics work. If you're orbiting at, say, the same orbit as the ISS you have to share the same velocity as the ISS. You can't "run into" something you share an orbit with. There's no such thing as "stray debris" in orbital dynamics. Anything faster than you will have a higher orbit, and anything slower will have a lower. Well of course it's an international project, and why would anyone, after taking a moment to reflect on it, think otherwise? Perhaps reacting emotionally to the fact that China is now the world state that can, and does, do the biggest engineering projects. The thing about removing space junk is that there's an awful lot of territory to police. If your purview was the entire surface of the earth it would just be a tiny fraction as big as the space volume where the junk could be found, which is not only larger two-dimensionally but includes every altitude as well. Decisions would be made internationally to seek out a specific piece of debris. Did they get the Reagan era "Star Wars" development plan? This is China's excuse for their participation in the weaponization of space? How to Zap A Mobo?